Looking "where to sell my AMC Rebel?" Ask the Chicago Car Club! Are you wondering "where to sell my AMC Rebel ?" 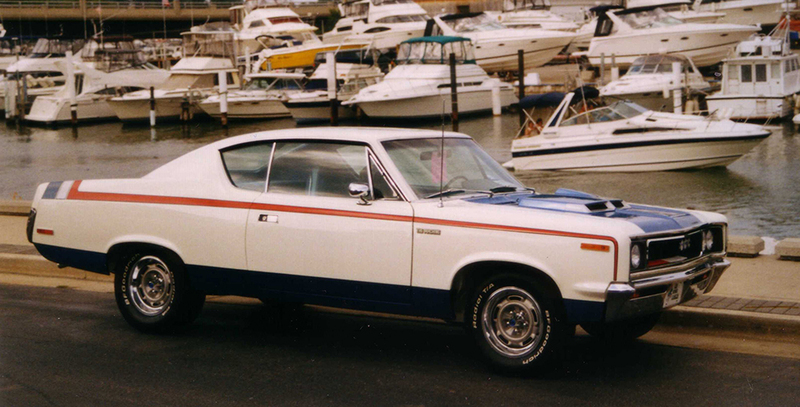 The Chicago Car Club is interested in classic cars of all makes and models, especially a AMC Rebel. We make the process of selling your AMC Rebel quick and painless. In just a matter of hours we will have your classic valued and, if you do so choose, turned into money in your pocket. All it takes is a phone call or electronic inquiry to get the ball rolling. The AMC Rebel was a line of midsize cars built by the American Motors Company, between the years of 1967 and 1970. It replaced the Rambler Classic, with hopes that it would be a high volume seller for the company. The Rebel was the company’s first true muscle car. It had a variety of engines available; the smallest of which was the 232 cu in (3.8 L) I6 that produced 145 or 155 hp (116 kW; 157 PS), and the largest was a 390 cu in (6.4 L) V8 340 hp (254 kW; 345 PS) which was standard in “The Machine” submodel. “The Machine” submodel was a special edition, which was a joint project between Hurst Performance Research, led by V.P. David L. Landrith, and American Motors V.P. of Marketing R.W. “Bill” McNeeley. The Rebel Machine debuted before the automotive press during the NHRA World Finals at Dallas International Motor Speedway. It was the perfect car for drag racing. These special cars are treasured by motor enthusiasts. The Rebel also came in a number of special editions, such as station wagons and cars with themed trim packages and luxury equipment. They were not only produced in the US, but complete kits were available under license in Mexico, Australia, New Zealand and in Europe. Most of these were still sold under the “Rambler” brand name.